First, select the text block in order to create the content. 2. After you’ve selected the text block, you will see the following button in the toolbar. Label: Just insert here the copy you want to see in the CTA. Link: Insert here the link you want to see. Background color: Choose the color you will see in your CTA. 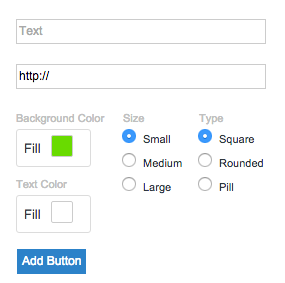 Text color: Choose the color of the text you will put In your CTA. Size: Select the size you want to see for your button. Type: Select the shape that fits better with your content. Finally, just click on “Add button”.